Large, open windows are a popular feature in many homes. Many homeowners desire to achieve the effect of natural light. However, there are many downsides to natural light flooding your home. Sunlight shining through your windows may not only disrupt your view and increase the glare, but in addition, can also increase your energy bill, lessen your privacy, damage your health, fade your furnishings/flooring, and much more. To combat these negative side effects of open windows, homeowners tend to shut their blinds or pull their curtains shut. However, there is a better way to enjoy the benefits of your large windows, without compromising your privacy or closing the blinds. The answer? Home window tinting! With home window tinting, you can enjoy your large, open windows with privacy, a lower energy bill, and much more. Keep reading to find out the top 10 benefits of home window tinting. The main (and one of the best) benefits of home window tinting is the long-term savings on your home’s energy bill. Residential window tinting helps block out UV rays from entering your home. In effect, your HVAC system doesn’t have to work as hard, so your energy bills will be lower. In the summer, window film for your home’s windows can filter out 99% of UV rays, which helps keep your home cooler in the summer. On the other hand, window film helps retain interior heat, which can keep you warmer during the colder months. Want to lower the heat emitted in your home from the harsh sun? Get home window tinting today! Home window tint film allows you to have privacy 24/7. You are able to enjoy the natural light and outside views without others being able to see inside your home. With home window tint, you don’t have to pull your curtains or blinds closed to enjoy the natural light from your open windows. Do you tend to wear sunglasses while driving to reduce the glare and to increase your visibility? This is exactly what home window tinting does. Home window tinting reduces the transmission of visible light, which in effect reduces the glare. Say goodbye to the glare that disrupts your view! Window tinting at home can not only lower your energy bill, but it can also help reduce the damage to your flooring and home furnishings. Sunlight can have a profound effect on the inside of your home. Overtime, sun exposure can fade and damage your flooring, furnishings, decor, and fine art. More specifically, the sun can fade your hardwood floors, stiffen your leather couch, and fade your wall decor. A high-quality window tint is a beneficial way to prevent premature fading and damages to your home. 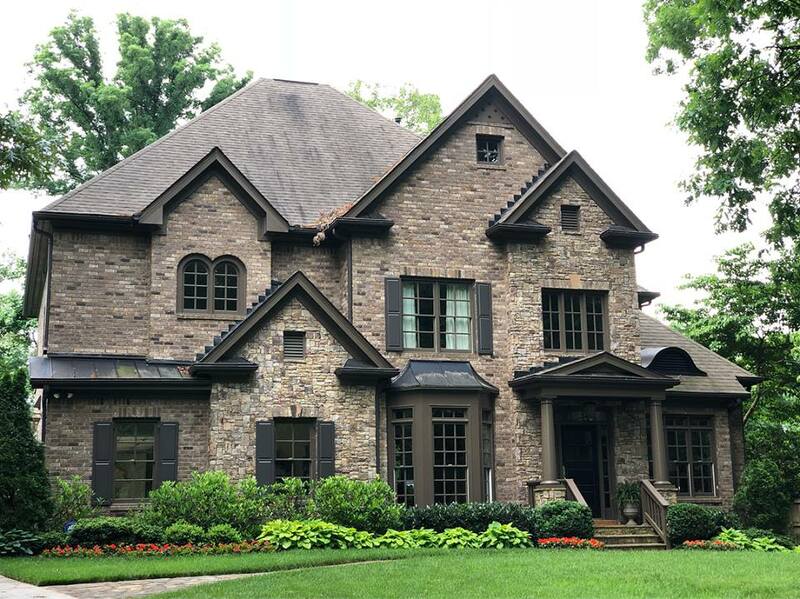 At All Pro Window Tinting, our residential solar window film in Atlanta offers protection for your home and its belongings. Adding window film to your home will increase your home’s beauty while boosting your home’s curb appeal. Residential window tint is also a desirable feature for future homebuyers. There are also options for decorative window tint, which is an affordable option to etched glass. 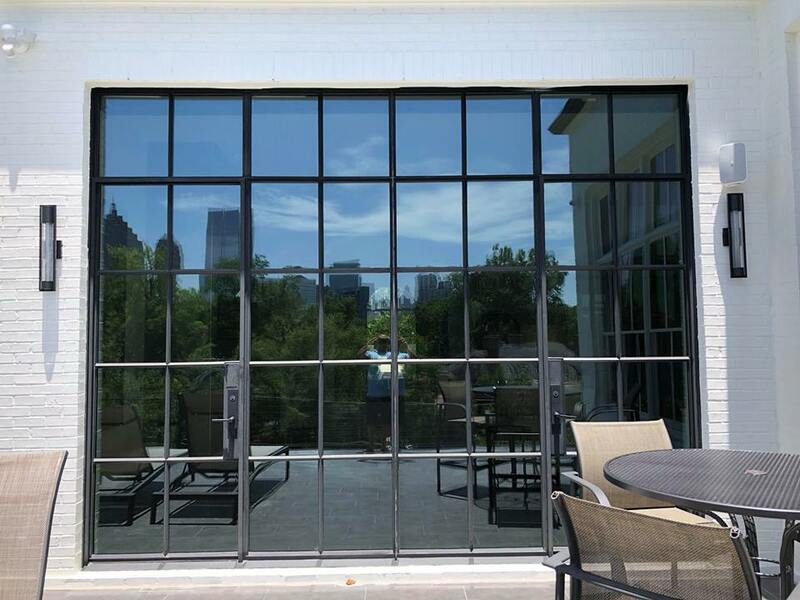 Decorative glass films creates a unique look for your windows without the cost of etched or beveled glass. 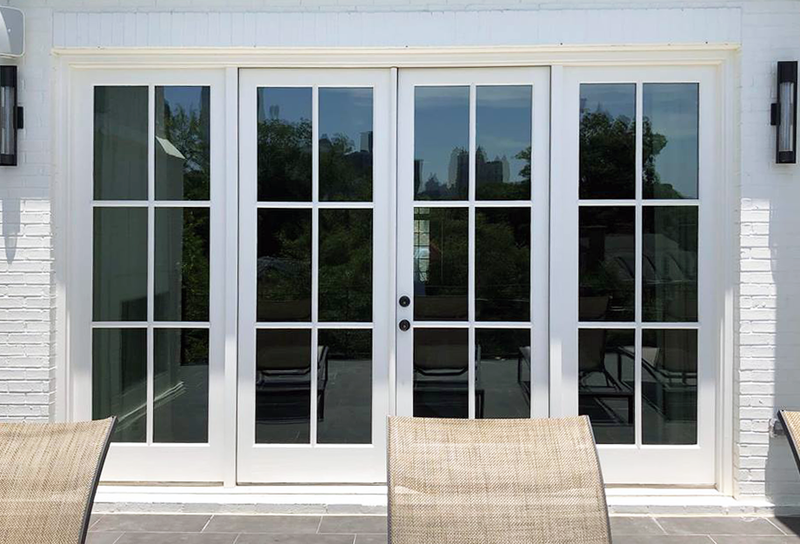 In addition to being expensive, etched glass windows cannot be changed or altered once etched. Frosted glass films allow you to achieve the appearance of luxury etched glass, without the expense. All Pro Window Tinting’s decorative glass films come in different patterns and shades, plus they are easily cleaned, removed, or replaced. Not only is home window tinting a desirable feature, it also helps deter theft by making it more difficult for glass to be broken. Secure window tint makes the glass harder to penetrate. In the case the glass is broken or penetrated, the window film is able to hold the broken glass together. Home window tinting is beneficial in the circumstance of a natural disaster or home break-in. Did you know.. You can get sun exposure from simply sitting inside your home? According to the Skin Cancer Foundation, UV radiation is the leading cause of non-melanoma skin cancer. Window tinting film helps block out 99% of UV rays, which can help protect you and your family from the sun’s harmful rays. With window tint, you don’t have to close your blinds or curtains to protect you and your family from UV rays. 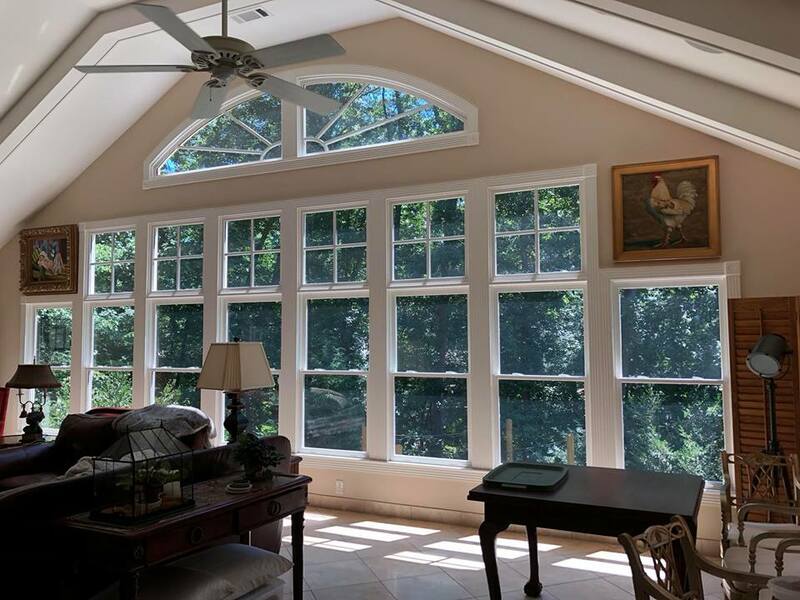 Since residential window tinting rejects UV radiation and allows your HVAC system to work less, in effect, your home will be more comfortable. The window film helps balance hot and cold spots within your house. Window tint blocks out 97% of infrared radiation. It’s important to note, sunlight (solar energy) is divided into 3 components— infrared, visible, and ultraviolet light. The wavelength from infrared and ultraviolet light is blocked, but visible light is still able to shine through. That means, window tint is able to block out 97% of that 52-55% infrared radiation. Home window tint is super easy to clean and maintain. To clean your window film, simply use a window cleaner and a soft cloth. Interested in Home Window Tinting? 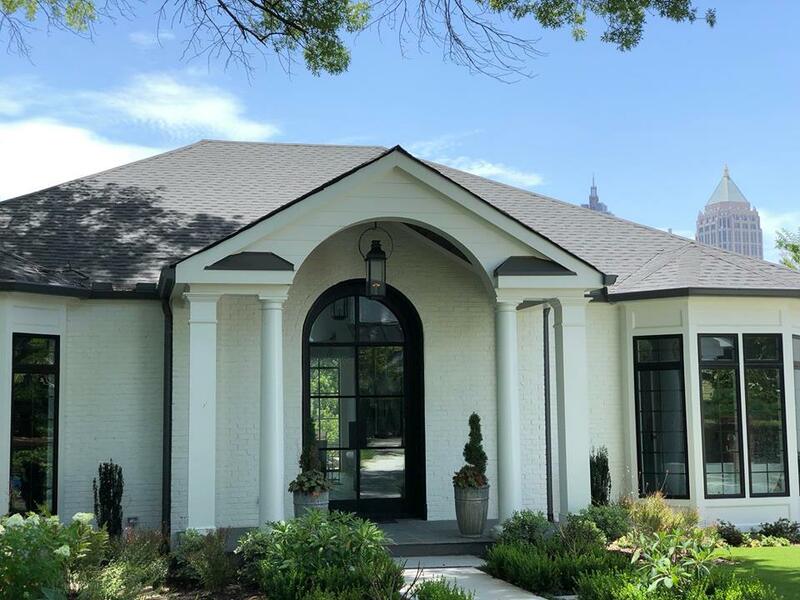 At All Pro Window Tinting, we have an at home window tinting solution for you— whether you want to reduce your glare, your energy costs, or increase your privacy while still being able to enjoy your large, open windows. Window tinting for your home is long lasting and extremely beneficial. If you are interested in the addition of home window tinting, call the window tint pros at All Pro Window Tinting today at (770) 479-8468.